A true American icon treated to the ideal fit, fabric and construction. Our Oxford shirts remain our most popular and greatest value shirts ever and today they're back in a rainbow of colors. The Oxford shirt holds a special place in our hearts. 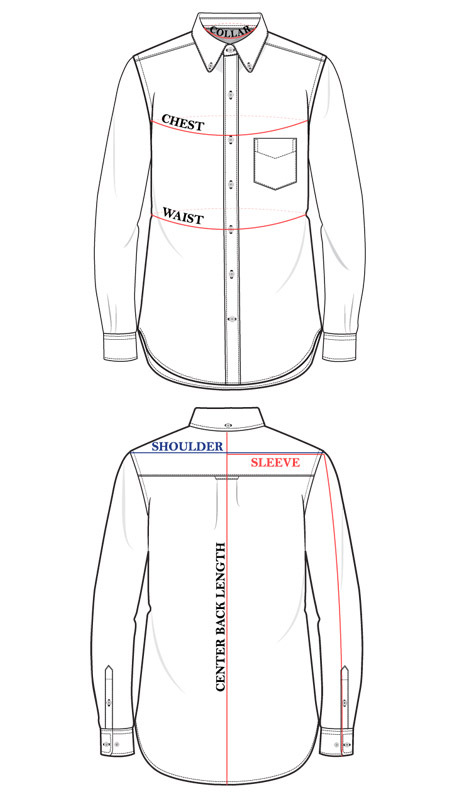 It was the shirt we launched our shirting category with over three years ago. To us it's a symbol of everything we care about as a brand and as people who love wearing great clothing. It's a timeless shape that we recently made even better with an updated fit. The fabric is beautifully woven in Japan and balances classic looks with real vintage heft. The construction is clean and intricate. Our Oxfords have all the ingredients that will allow you to enjoy them for years. We spent the most time really making a true improvement to fit. The best way to put it is that our updated fit simply feels more organic. There is a much more sophisticated and natural shape to the entire body, from shoulders to chest to waist that better matches the natural curve of the the human form. We’ve better aligned shoulder and chest widths and given the bottom hem only a subtle curve, striking an improved balance between tucking and untucking ability. The improved fit is something you notice the instant you put this new shirt on. It just flows with the body better and feels better on. We also believe this fit is more universal. It’s taking the place of slim and classic fits . . . this is now our best fit. We also took this opportunity to make two key upgrades to the details while preserving the classic style we all love. The first is button placement on the placket. Most people are wearing these shirts without ties and now opening that top button leaves the ideal shape. Second is a gently rounded chest pocket shape to provide a softer, more organic look. Of course, we’ve kept all the intricate construction details from the single needle work to locker loop to box pleat. Buttons downs that are made in the USA using our quality of material and construction are typically priced at $175 to $300. The Gustin model, with your support, lets us do much better. The best way to describe our shirt fit is that it simply feels organic. There is a sophisticated and natural shape to the entire body, from shoulders to chest to waist that matches the natural curve of the the human form. We’ve aligned shoulder and chest widths and given the bottom hem only a subtle curve, striking the perfect balance between tucking and untucking ability. If you're inbetween sizes, or unsure, we suggest going with the larger of the two sizes you're considering.